Set in the renowned KwaZulu-Natal Midlands, Bellwood is situated on a working horse stud farm, just two kilometres out of Nottingham Road. Our new wedding venue comprises of The Old Barn Chapel and the Reception Hall. 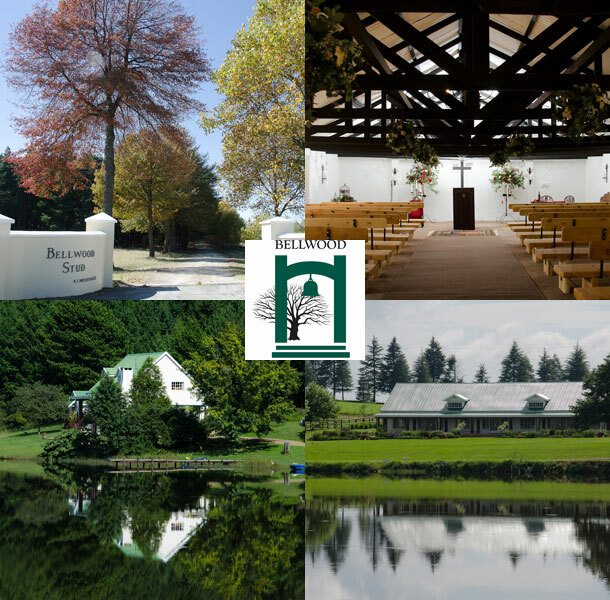 The Chapel is situated just outside the Bellwood stables, about 1/2 kilometre from the Reception Hall. Seating is provided for up to 170 guests on comfortable Cedar wood benches. Lighting is provided by candles to provide the appropriate atmosphere as well as by dimmable lights in overhead chandeliers. The interior can be set up for either religious or civil ceremonies. Ample parking is provided and a lawned area is set aside for pre/post ceremony teas or drinks. The surrounds provide a number of excellent settings for your wedding photographs. The Reception Hall, overlooking a large dam can seat up to 250 guests. You are able to design your own table layouts, décor and arrange the catering, photographer, music etc. 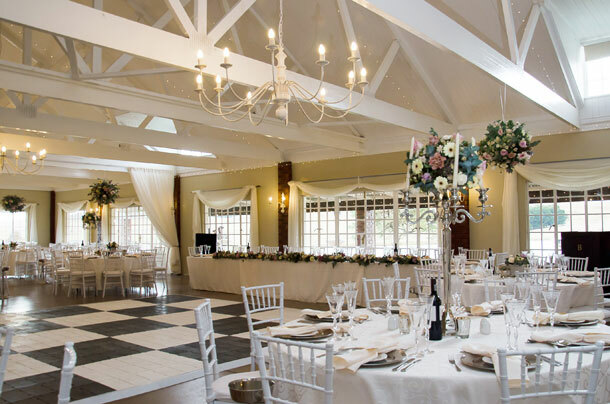 The hall is equipped with a large central fireplace, is fully air-conditioned (cooling or heating) and has all the facilities for the caterers and bar service. A covered verandah and lawned area allows your guests to enjoy the farm ambience in beautiful surroundings which also provides an ideal backdrop for your wedding photographs. Included in the cost of the wedding package is two nights’ accommodation in Nottingham Road for you and your guests in five cottages next to the dam and Reception Hall. The cottages are provided on a self-catering basis and can accommodate up to a total of sixty people. Bellwood is run by the Messenger family and our aim is to deliver a professionally run wedding venue with a personal touch. Through our cottages, we have been providing a perfect getaway for over 10 years and our years of hospitality experience extend to our wedding venue. To book your wedding at this venue telephone Rene and the team on +27 (0)33 266-6218. Alternatively visit Bellwood for further details or to send an enquiry.